The Finanzplatz Hamburg e.V. has launched www.fintech-hamburg.com to provide more information about firms shaking up the established financial and insurance sector with digital solutions. The website went online during Fintech Week Hamburg underway until Sunday (November 12, 2017) thanks to 120 members of Hamburg’s financial sector. The website will help forge closer links between the established and digital economy in Hamburg. Commenting on the move, Dr. Reiner Brüggestrat, Deputy Chair of Finanzplatz Hamburg e.V., said: “The new internet portal gives fintechs in Hamburg a new digital home where they can present themselves and connect up with each other.” The “Fintech Monitor”, for instance, provides an overview of fintechs and their respective portfolios. Clas Beese, manager of the online platform and co-founder of Fintech Week, helps fintech make contacts and seal collaborations among each other and with the established financial sector. 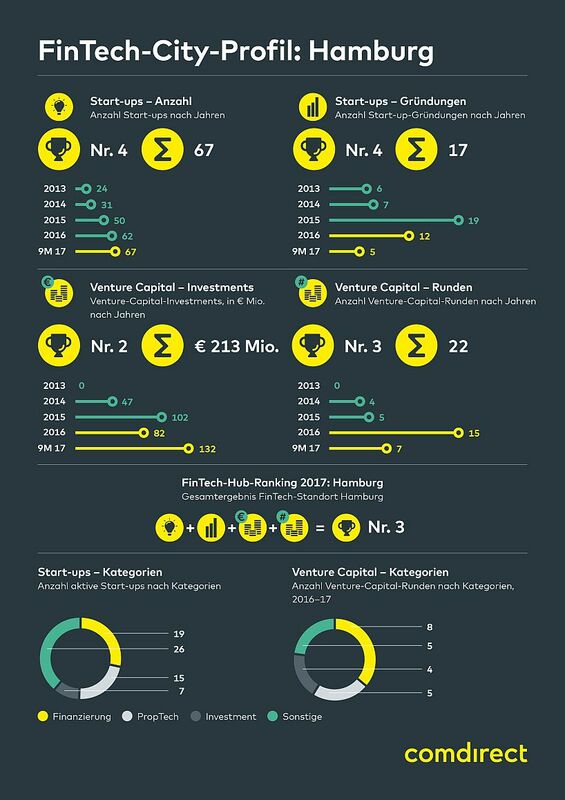 The “Fintech Hamburg Monthly Newsletter” gives an overview of key events and news in the scene. The Finanzplatz Hamburg e.V. consists of 120 firms and institutions in the financial and insurance sector, research and associations in the Hamburg Metropolitan Region. The non-profit association is committed to strengthening Hamburg as a financial location. The website www.fintech-hamburg.com aims to boost networking between digital fintechs and companies in the established financial sector. Innovation to meet tradition during "Fintech Week Hamburg 2017"